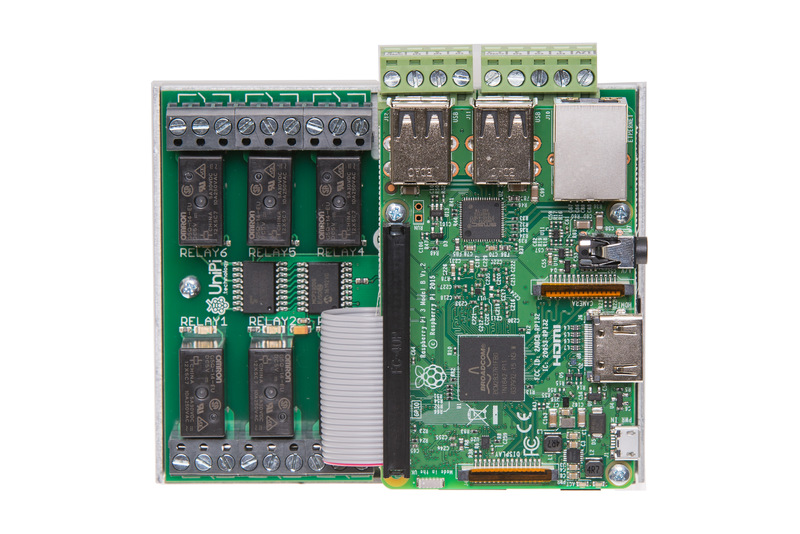 UniPi 1.1 is an extension board for Raspberry Pi. 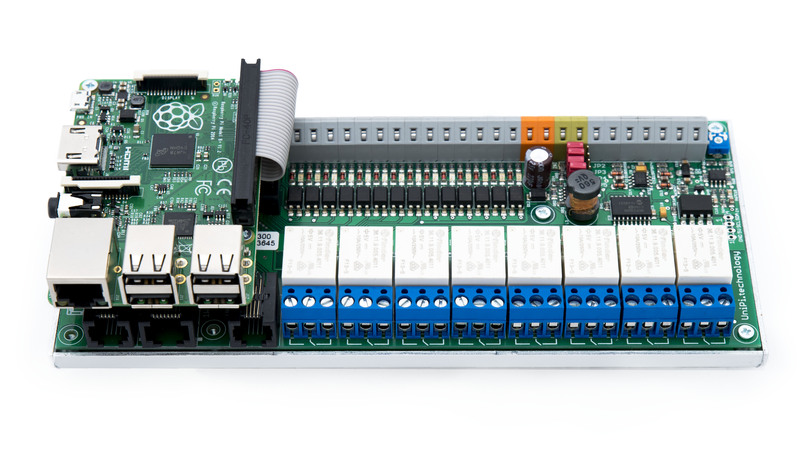 The board allows the Raspberry Pi to function as a programmable logic controller (PLC) in a variety of automation applications. 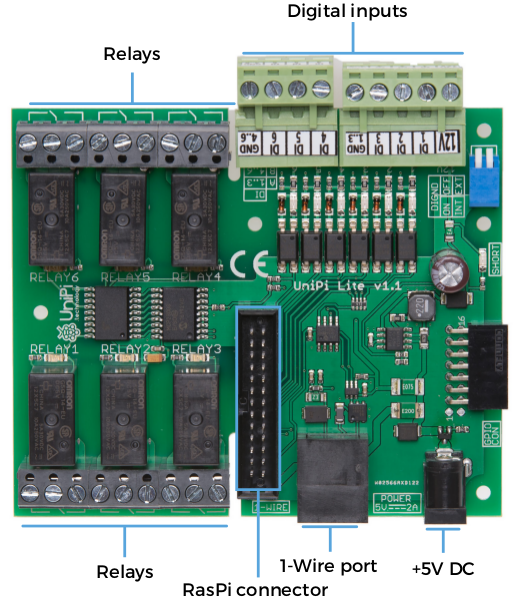 UniPi 1.1 Lite is a smaller and simpler variant of the UniPi 1.1, designed for smallest automation projects. When compared to the UniPi 1.1, it features fewer I/O's, but is more compact and cheaper. Raspberry Pi Model 3B computer is used as CPU. The computer is connected via its GPIO through ribbon cable, processes all data from I/O modules and is sending responses. 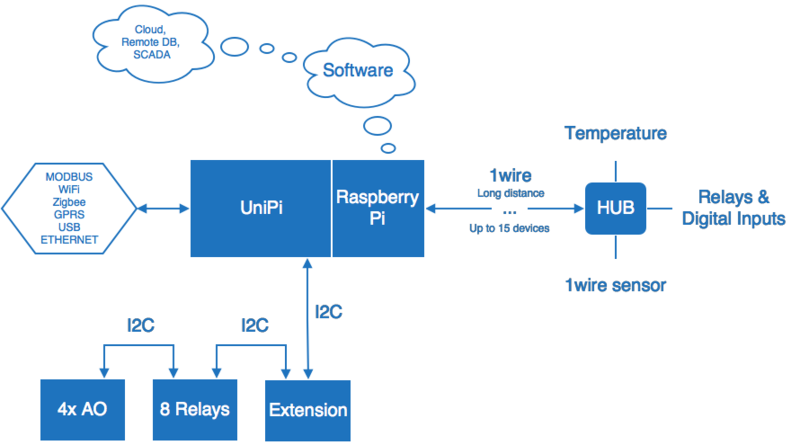 All individual I/Os and communication interfaces are connected to the Raspberry Pi's CPU either directly via GPIO or indirectly via I2C. Raspberry Pi also provides network connectivity and USB ports. The I2C port supports connection of extension modules, such as the EMO-R8 relay extension. The 1-Wire bus is used for passive reading of data from corresponding 1-Wire sensors (humidity sensors, temperature sensors etc.). One bus can receive data from up to 15 sensors at once (provided a suitable 1-Wire hub is used). Note: UniPi 1.1 and 1.1 Lite require an external 5V 2.5A power source with 2.1mm DC jack.